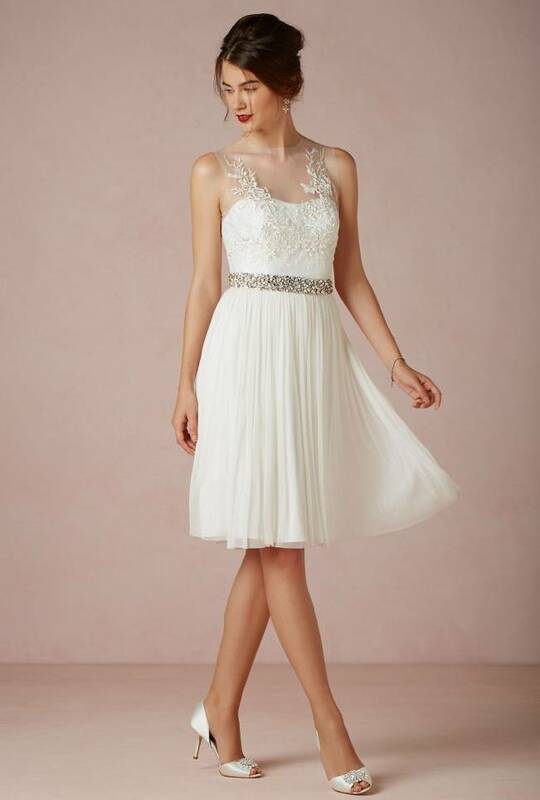 By no means is a reception dress required, but know that you have options. 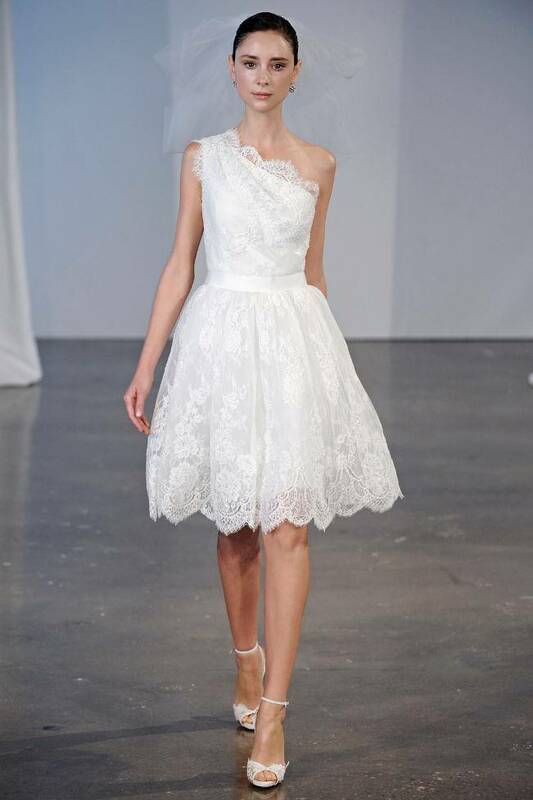 Most reception dresses are knee length or tea length, though you may opt for a second floor length gown that features a hint of color or perhaps details that you love but just didn’t fit with your ceremony venue. It never crossed my mind to think of purchasing two separate dresses when planning my own wedding – I was focused on budget and assuming it would be too costly, put it out of my mind. I danced the night away in my chapel length gown and it was a great night, but the bustle didn’t want to keep fastened and it was also hot. Looking back on it, wearing a shorter dress would have been easier to move in during the reception, plus who doesn’t love showing off their shoes? Short dresses are often much less expensive anyway (i.e. less than $500), so if it works with your budget here are a few designs we think you’ll love.